While today has been all gloom and rain, and rain, and more rain- like torrential downpour type rain- Summer is pretty much here. Okay, not quite officially, but the sunny days are upon us (yay!) 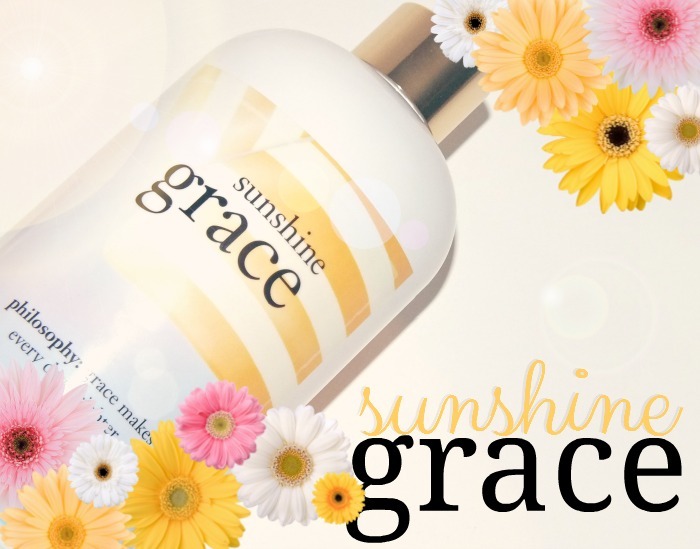 Of course, you're going to want a sunny fragrance to see you through Summer, and Philosophy has just that with Sunshine Grace in the form of Firming Body Emulsion, because a double duty product is never a bad thing. 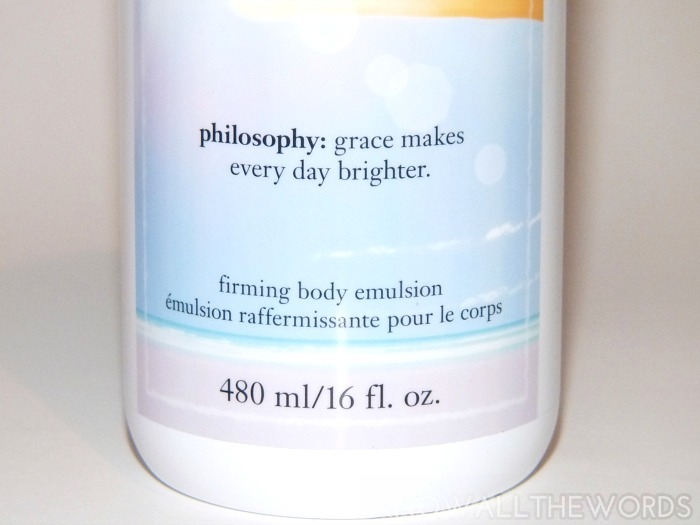 Philosophy Sunshine Grace Firming Body Emulsion is a new product released with the limited edition Sunshine Grace Eau de Toilette. The scent is a new version of the brands' Grace range, but with a warm element that makes it perfect for warmer weather. With a blend of bergamot, sparkling freesia, honeysuckle, jasmine, orange blossom, tiare flower, frangipani, blonde woods, and solar musks, the scent is mainly floral but the musk gives it more depth and warmth. The scent is bright and clean but quite strong- a great thing if you love the scent- and lasts exceptionally well on skin. Like all of the Philiosophy body lotions I've used, the formula was perfect, and it left skin not only very scented, but soft and smooth with. The lotion absorbs quickly and cleanly without feeling heavy on skin- I can't stand a heavy moisturizer on warm days, but this doesn't leave that suffocating feel. I didn't notice much firming action as the name suggests, but to be honest I really didn't expect any. Overall, this is a great option if you love the scent as it's very scented and has enough throw that you can skip using another fragrance. That's really going to be the only deal-breaker with this one as the lotion formula is spot on. If you happen to be floral fan though, do seek this out. Are you a floral fan? Tried this? Thoughts?